Trip will include meetings in Cuba, Argentina and Brazil ahead of BRICS summit. On July 11, Vladimir Putin set off on a six-day trip around Latin America during which he is scheduled to visit Cuba, Argentina and Brazil and meet with leaders from across the region. The visit comes on the heels of a similar trip by Foreign Minister Sergei Lavrov in May and is considered a further step by Russia to strengthen ties with countries outside the U.S. and Europe in the face of disagreements over Ukraine. "A visit from our president is a sign of respect for Latin America and a sign that Russia acknowledges the growing significance of Latin America in the global economy and in world politics," Davydov said. "It also comes at a difficult moment when the West is currently trying to isolate Russia. Russia senses very friendly relations coming from the Latin American community, and that is extremely valuable." 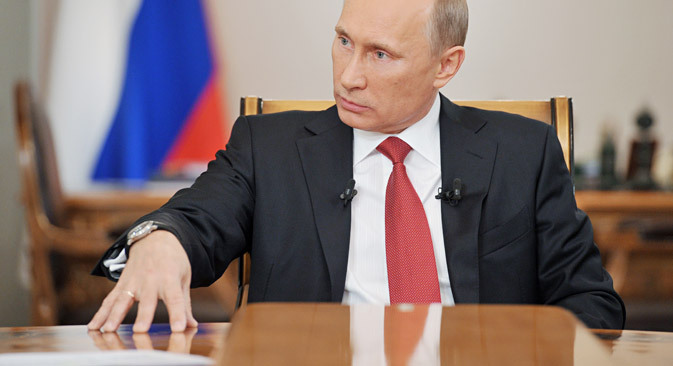 Putin was invited to Cuba by a representative of the government council and the Council of Ministers of Cuba. According to the schedule released by the Kremlin, during the visit Putin will also meet with Fidel Castro. Castro, 87, who stepped down as president in 2008 in favor of his brother Raul, is rarely seen, and his meeting with Putin has attracted worldwide attention. Just before Putin’s departure for Cuba, the Russian State Duma ratified an intergovernmental agreement that forgives 90 percent of the debt accrued by the island since the Soviet period – $31.7 billion out of a total sum of $35.2 billion. This is the largest debt forgiveness agreement in Russian history. The remaining debt of $3.5 billion is to be paid out in 20 equal payments over the course of 10 years. The amounts, which will be part of a special internal economic bank account within the National Bank of Cuba, will support various investment projects to be implemented on the island. Cuba must pay the first tranche on Oct. 25, and the last payment is to be made on April 25, 2024. Other topics expected to be discussed during the visit are projects in energy, transportation, aviation, the peaceful use of outer space and healthcare. Russian oil major Rosneft and Zarubezhneft, a Russian state-controlled firm that develops oil and gas fields outside of Russia, have already signed agreements regarding the development of Cuba’s offshore capacity. From Cuba, Putin will move on to Argentina, where energy agreements and discussions between Putin and Argentinian President Cristina Fernandez de Kirchner in Buenos Aires will likely receive great attention. The Argentinean government has invited Russian companies to participate in tenders to build 10 hydroelectric plants and at least one nuclear power plant. According to the Russian Foreign Ministry, agreements are scheduled to be signed in Buenos Aires guaranteeing partnership on the peaceful use of nuclear energy, mutual support in coal trading, extradition and mass communications. Putin will conclude his Latin American trip in Brazil. On July 13, he will watch the World Cup final in Rio de Janeiro and take part in the symbolic ceremony transferring the World Cup from Brazil to Russia. Despite Russia’s early exit from the tournament, a presentation will be held in the Russian House in Rio to celebrate the 2018 World Cup. On July 14, Putin will go to Brasilia to hold talks with President Dilma Rousseff and meet with representatives of the business community. Eighteen months ago in the Kremlin, Brazilian and Russian leaders agreed to try and to increase trade to $10 billion a year. So far, however trade between the two countries stands $6.5 billion. It is expected that the two countries will sign a package of agreements related to trade, investment and humanitarian issues. There is also an indication that Moscow and Brasilia will try to move away from trading in the U.S. dollar and will work on a mechanism for mutual use of their respective national currencies. Finally, Putin will move to Fortaleza, where he will attend the sixth annual BRICS summit taking place July 15-16. Delegates are expected to discuss the next steps to establish the BRICS alternative to the World Bank and a meeting will be held to foster dialogue between the BRICS leaders and other countries South America in the form of outreach. Twelve Latin American leaders will come to Fortaleza for the talks. Putin plans to hold separate meetings with some of them, including Uruguayan President Jose Mujica. Read Russia Direct Monthly Memo which takes a closer look at why LatinAmerica is emerging as a region of new geopolitical rivalry, examines the strengthening military and economic ties between Russia and LatinAmerica, and analyzes how China’s expanding presence in the region might impact the political calculus of both the U.S. and Russia.